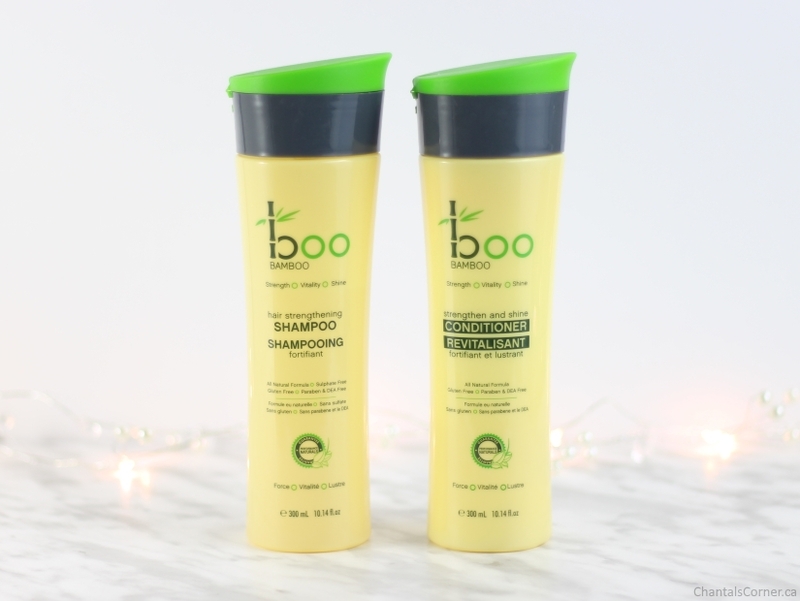 My decision to start using products that are as natural as possible happened in November so when Black Friday came around I decided to hunt for new hair care products and ended up buying the Boo Bamboo Strengthening Shampoo and Strengthen & Shine Conditioner from Well.ca (keep on reading for a $10 off coupon). Let’s take a closer look at them. These products are labelled as all natural, sulfate free (for the shampoo), gluten free, and paraben & DEA free. A quick look at the ingredients on CosDNA (links below) and Think Dirty looked good so into the cart they went. A deeper look at the ingredients on Think Dirty followed by some googling shows that some of these ingredients seem to be synthetic, or synthesized from natural sources. Does that mean that the products are not necessarily 100% natural? I’m far from being an expert on ingredients so I won’t go into further details, but feel free to ask questions, shed some light on this, or correct me if I’m wrong in the comments. The last thing I want to do is give out false information! That being said, if I’m right, these products are still mostly natural and there are no red flags in the ingredients so they get a pass in my books. Buying products online without being able to smell them is a risk because what if I hate their scent? Thankfully I quite enjoy these ones! I’ve been trying to figure out how to describe their scent since I first started using them because I’m having a hard time pinpoint what they smell like. I even smelled my bamboo plant to see if there was a similarity, but my plant doesn’t smell anything. My husband said the shampoo smells like bubblegum. I don’t agree with that, but I can see how he thinks that. There’s definitely a sweetness to the scent that is bubblegum-ish, but at the same time there’s this greenery herbal scent to it. The conditioner is not as sweet and the herbal-ness comes through more. They’re definitely different than any hair care products I’ve used before and I find their scents refreshing in the morning. The shampoo works really well. It lathers a lot and a little goes a long way. 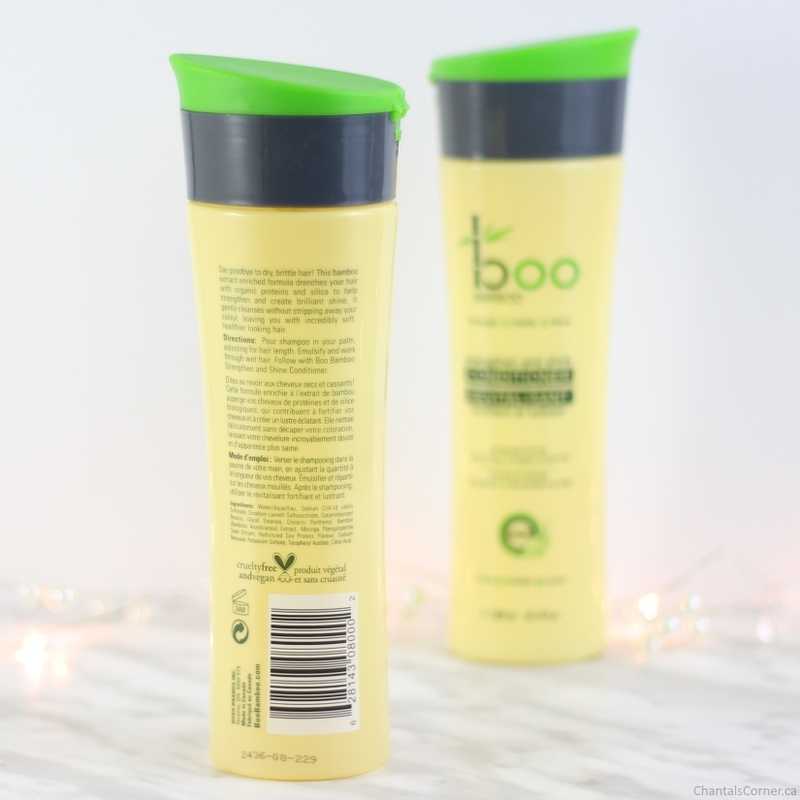 It leaves my hair feeling clean and nice and not stripped of its moisture. 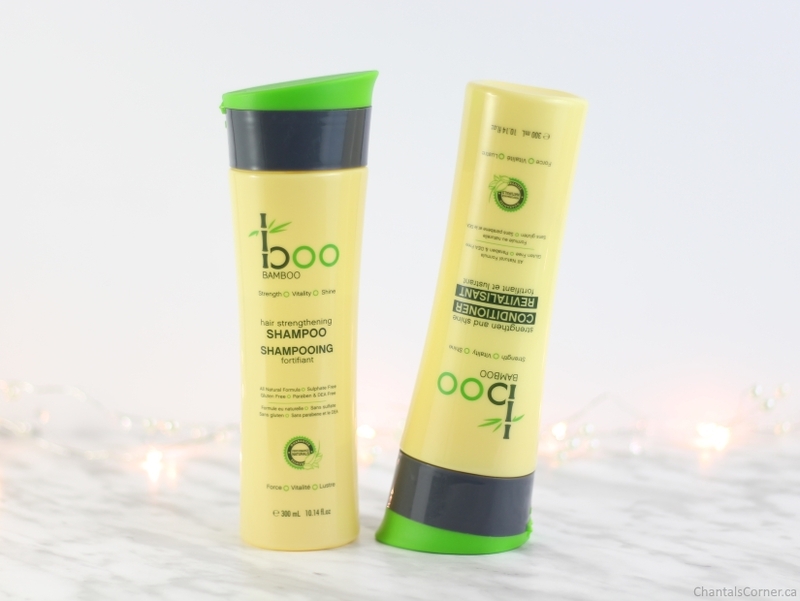 This shampoo also works well as a body wash and I know this because I’ve tried it! 🙂 You really don’t need a lot for your body either, a quarter size amount is more than enough. The conditioner works well too, but my hair is really short so I can’t say how it would work for long hair. Detangles well? I don’t know. Leaves hair light or weights it down? No clue, sorry. This one has a thick consistency so I leave my bottle upside down in my shower. It also feels like it lathers a little bit in my hair. Once rinsed out my hair still feels nice and clean and it does not feel like the conditioner left any residue behind. All in all I’m really happy with these products from Boo Bamboo. They smell nice and do a great job at removing the waxing pomade gunk that I put in my hair. 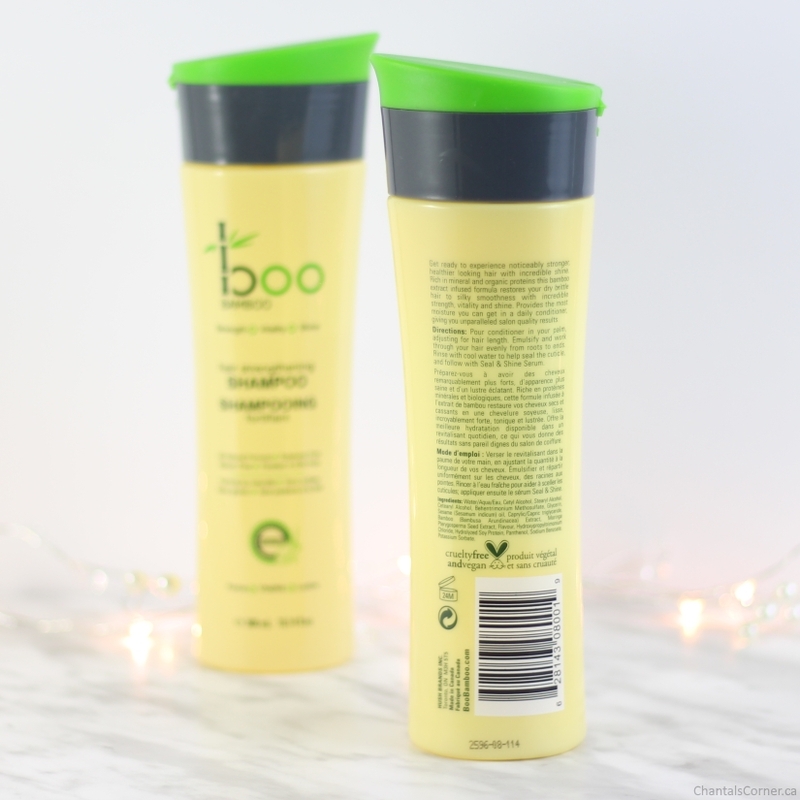 Have you tried anything from Boo Bamboo? Did you know that they’re a Canadian brand?